Autism annual reviews have been published by a number of sources most of which ignored or mis-characterized the most important autism event of 2012. The most important event by far and the one with the most negative implications for those who actually suffer from autism symptoms was the APA approval, on Saturday, December 1, just before the holiday season, of the DSM5 as it is now written including the new Autism Spectrum Disorder. The new ASD will preclude future autism diagnoses for those most severely affected by autism symptoms: those with moderate to severe intellectual disability. I have written many times about the express targeting for exclusion of those with intellectual disabilities. I have been virtually alone in my criticism of this exclusion but I stand by my objection to that exclusion. It is reprehensible. It helps insurance providers and governments that seek to reduce provision of autism treatment and benefits. It helps those academics and researchers who are building careers researching every trivial idea they find fascinating without helping or bringing anyone with an autism disorder any closer to treatment or cure of the symptoms which in fact restrict their ability to function in the real world. They are now free to conduct autism research without the need to include difficult to work with intellectually disabled, severely autistic children and adults among their subjects. It helps those persons with High Functioning Autism and Aspergers, their parents and other loved ones, who feel stigmatized by association with low functioning, intellectually disabled autistic children and adults. Intellectual opposition to the direction the DSM5 is taking autism did arise in 2012 in Rethinking Autism: Variation and Complexity by Professor Lynn Waterhouse. She has articulated in a very comprehensive analysis, backed by learned authorities on every point, the fundamental problems with the new streamlined, simplified version of autism. The title summarizes her arguments succinctly: autism is in essence a group of symptoms characterized by variation, heterogeneity and complexity. The unified, simplified DSM5 ASD ignores that heterogeneity. Every parent, academic and clinician who has repeated Stephen Shore's caution, now a cliche, "if you've met one person with autism, you've met one person with autism" knows that autism is heterogenous, varied and complex. The DSM5 however, contrary to all research and real life experience, pretends otherwise. The DSM5 ASD is a false step, a road block to the understanding of autism disorders, autism symptoms. Debates over whether autism is increasing, and what factors are involved with causing autism will be muddied again for another generation by the redefinition of autism. The moderately and severely intellectually disabled who otherwise display the social communication and restrictive, repetitive criteria of the DSM5's New Autism Spectrum Disorder, will not be included in the new autism diagnostic era. They will be relegated to the Intellectual Disability group which will receive very little research attention or dedication of resources. After all it will be deemed wiser to concentrate resources, including treatment and cure research resources, on those for whom successful results are more likely .... just as the distinguished, open minded, intellectually conflict free and oh so compassionate members of the DSM5 autism committee have done in their pre-Christmas gift to the intellectually disabled, severely affected members of the pre-DSM5 autism spectrum. The pictures set out below this commentary were taken in May 2012 and posted on Saturday, May 26, 2012 under the title Conor's Autism Reality: From Joy To Self Injurious Behavior In A Flash. I was taking these pictures of Conor enjoying a swing on the playground of his old grade school, Nashwaaksis Memorial School. It was early Saturday morning, no one else was around; there were no loud noises or disturbances. The weather was pleasantly cool and mild. Conor was loving his time on the swing and then ... just like that ... he was engaged in self injurious behavior as set out in the last two pictures of this set ... with no external factor whatsoever. Whatever prompted the head hitting and hair pulling of the last two pics was purely internal. His self injurious behavior in this instance was not an isolated occurrence. It has happened before and since. Nor is it always self injurious. There are times when Conor has been aggressive with his mother and father. I have never believed for a second that he actually intends to hurt either of us. Some times he is reacting to external stimuli such as the sound of a phone ringing. It is my belief that when he is aggressive to himself or others he is most often reacting as he did in these pictures to internal disruptions of some kind. I am not generalizing from Conor's reality to those of other persons with autism symptoms or disorders. I was, from the beginning of my understanding of Conor's condition, and during the early days of my autism advocacy, annoyed with people like Michelle Dawson and Dr. Laurent Mottron whose affidavit evidence as an autism expert supported her application for intervener status when she appeared before the Supreme Court of Canada in the Auton case as an "autistic" to oppose government funded Applied Behavior Analysis treatment for other people's children. I never accepted that my son with severe autistic disorder and profound developmental delays could be represented even indirectly by this person capable of addressing Canada's highest court. Nor do I subscribe to the unsubstantiated belief that persons with autism are responsible for planned violence like the horror committed in the Newtown massacre by a person rumored to have autism/Aspergers. I do acknowledge though that, at least in my son's case, unplanned, spontaneous, "reactive" aggression to use CNN's Dr. Sanjay Gupta's term, can occur and can occur in a flash. Depending on the setting, for example sitting in the back seat while Mom or Dad are driving, the consequences could be very, very serious. Even in ideal circumstances such as the Saturday morning playground depicted below aggression, whether directed toward himself or those with him, can be serious and frightening. There may well be persons with autism disorders whose symptoms do not include self injurious behavior or injury to others. Great, I am happy for them. But the public at large should not believe for a second that it is not present in some persons with autism in ways that are not always present in non autistic persons. It is, for many persons with autism, a fact of the brain disorder(s) which manifests in symptoms that we call autism. Research is needed on the internal causes of self injury and aggression in persons diagnosed with autism. Treatments need to be developed. Pretending such internally provoked or aggravated aggression is not part of autism won't make these realities disappear. Instead of spending years trying to streamline autism symptoms and disorders into one neat package it would be much more helpful if the aggressive component of the heterogeneity of autism symptoms were acknowledged and addressed through research and improved treatments. Hey Dad, wanna play the Gooey Brownie Tickle Game? And the Gooey Brownie Tickle winner is: Conor ... of course! Conor has enjoyed watching Wheel of Fortune and Jeopardy! with Mom and Dad for many years. Today we were watching our DVR recording of yesterday's Wheel of Fortune episode. The game winner was unable to solve the Bonus Round two word puzzle. She got "Brownie" but not the first word for which few letters had appeared. Conor giggled when he heard Pat Sajak read the answer "Gooey Brownie". Mom immediately started a Gooey Brownie tickle fest with Conor who then came over to the chair I was in to give a reluctant Dad a Gooey Brownie tickle. (And demonstrate both his appetite for fun and his growing strength). A great start to the holiday season today! Do People With Autism Like Other People? Conor Says Absolutely! In the aftermath of the mind numbing Newtown horror there are lots of wild theories circulating about autism disorders and people with autism. Our son Conor is severely autistic with profound developmental delays. He does not have sophisticated planning skills and definitely does not plan any aggression. He does engage in self injurious behavior and will display what CNN Dr. Sanjay Gupta accurately (in my opinion) described as "reactive" aggression. I do not believe he actually wants to hurt anyone when that happens. It is a reaction, an impulse, but it is not an intent to injure others. Underlying some of the non evidence based drivel that has been floated is the notion that people with autism don't like other people. In the following pictures taken at different points in his life Conor challenges that silly assumption. The numbing horror that unfolded yesterday in Newtown, Connecticut has prompted many intense responses. The grief of those who lost children, family and community members is beyond words. Unfortunately for people with autism disorders and their families there are unconfirmed reports from various sources claiming that the alleged shooter had Asperger's or high functioning autism. These reports have in turn prompted wild speculation about autism as a cause of this unimaginable tragedy. There have been many intense responses to those claims. "There is absolutely no evidence or any reliable research that suggests a linkage between autism and planned violence". Yesterday, 26 people lost their lives through the acts of a single person. These 26 people were children, teachers, husbands, wives, mothers, fathers, brothers, and sisters. Today, their families are experiencing grief that can't be described. Our thoughts and prayers are with all those impacted by yesterday's tragic shooting. This morning, many news outlets are reporting the shooter was on the autism spectrum. This has not been officially confirmed. These reports imply that autism might have had an impact on the person's mindset leading to the shootings. Please do not judge any individual with autism based on what is being said about a killer of innocent children and teachers. Rather, our nation's attention must be focused on being there for the children and teachers whose lives were lost yesterday. EEG Day Yesterday Went Very Well: Conor Was Outstanding! Conor's EEG exam had been scheduled for yesterday as a result of his scary Grand Mal seizure a few weeks ago. 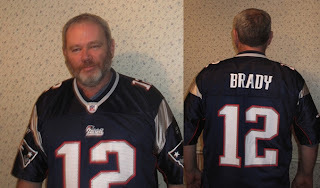 (Not that I am superstitious but I did wear my Tom Brady Patriots jersey to the EEG for good luck) The EEG techs indicated it would take time to get set up: about 20 minutes. They hoped to get at least 45 minutes of readings after that. With Conor's autistic disorder, profound developmental delays and sensory issues I questioned in my own mind whether they would be able to get 45 minutes before Conor started removing the head wrap with the connecting wires. My questions were answered positively when Conor provided approximately 70 minutes of readings without breaking a sweat! His pediatrician had consulted the neurologist involved and they decided on the best medication for Conor to take that would allow him to be drowsy (and calm) while interfering minimally with the readings. His pediatrician, Dr. Messenger, provided clear instructions to me to give Conor his medication one hour before the scheduled start time. Perhaps because of his own procedures, perhaps because we have met and discussed Conor and autism on several occasions over the years, he politely made sure Dad got the message and repeated the instructions twice. The technicians and staff at the DECH EEG section were also outstanding. We completed a service survey on leaving and rated our experience 10 out of 10! Conor's mom Heather also contributed to the successful outcome. She snuggled on to the hospital bed with Conor and stayed beside him throughout the process. The star of the day though was Conor himself. The techs allowed me to see his face on one of their visual screens. I could only see his eyes and above. His eyes were open and he was calm throughout 70 minutes. When it was over he left the hospital on his own steam holding our arms for support in the slippery snow storm conditions outside the hospital as we left. We went through a Burger King drive through on the way home and rewarded Conor with a BK burger. (Dad got one too!) Conor was quiet but content until he went to sleep at his regular time last night. Small things can be a challenge with Conor. That is reality, Conor's autism reality, every day. Yesterday a big challenge, an EEG exam, was no problem for my buddy who provided 70 minutes of readings. Meanwhile, last evening, Tom Brady led the Patriots to a thrashing of the upstart Houston Texans. Brady was excellent. Conor was our MVP though. Autism Specifics President "Aristotle" Newman and ASAN President Dr. Jerry Dobson will be jointly reflecting today on important events in the autism world during the past year. 1. 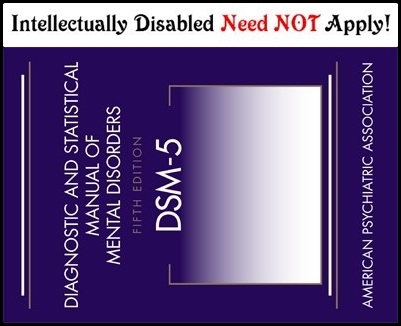 First anniversary of DSM5.13 This year marked the first year since the DSM5 that a revised edition of the DSM5 has endured an entire year without being modified. Changes introduced by the classic, original DSM5 were revolutionary, particularly with the steps taken to exclude the intellectually disabled from the autism spectrum, but revisions were introduced periodically to deal with oversights in the classic edition. Previous revisions of the DSM5 had seen repeated tinkering with the somewhat unclear Intellectual Disability exclusion language. With the DSM5.13 changes finally and clearly excluding anyone with an intellectual disability the latest revision has remained unchanged for a full year! 2. Autism Rising Debate Is Over. Some had argued that the frequent revisions to the DSM5 had rendered epidemiological studies useless in determining whether autism was really increasing or whether autism diagnoses were more numerous because of enhanced awareness. While others did not hold to that view the debate became irrelevant as each revision created greater specific awareness of what really constitutes autism. With each such revision the APA, Autism Specifics (formerly Autism Speaks) and ASAN all came to agree that since our knowledge of autism is now more specific there is just no point in fussing over whether it is increasing since we are after all starting over again in our understanding of autism. 3. Autism Is Not A Disorder Debate Settled. With the latest revision to the DSM5, with the full and final exclusion of the intellectually disabled, we now clearly understand that autism is not now and never was a disorder or grouping of disorders or symptoms. Autism, in the words of Saint Estee, is a Joy. It is a culture of people with exceptional scientific, literary and artistic talents. The old DSM5 language Autism Spectrum Disorder is now known as Autism Spectrum Culture. 4. Research and Treatment Update. With the end of the constant search for causes of autism now that we know it is not a disorder the millions of dollars spent on genetic autism research and several thousand dollars spent on possible environmental causes of autism can be directed elsewhere. Likewise treatment is unnecessary in the full realization that autism is not a disorder. These monies can now be directed to autism awareness projects celebrating our enhanced awareness of he Autistic Symphony. 5. End of the Aspergers Revolutionary War. Another heated debate has ended with the end of the Aspergers Revolutionary War, the online struggle between those who fought the removal of the Aspergers Syndrome diagnosis from the DSM5 and those who thought it was part of a greater good. With the full and final exclusion from the autism spectrum of the intellectually disabled the Asperger's Revolutionary Army members realized that Aspergers had not been removed at all, that autism as now defined is simply Aspergers with a new name: Autism Spectrum Culture. As part of the peace treaty to end the war the AR Army warriors agreed with the APA, AS and ASAN to consider the possibility of renaming the Autism Spectrum Culture in the DSM5.14, changing it to Aspergers Spectrum Culture. Are All Epidemiological Autism Studies Flawed? Autism diagnoses have been increasing at incredible rates. Within the past two decades estimates of the numbers of persons diagnosed with autism has increased from 1 in 500 to 1 in 250 to 1 in 110 to 1 in 88. Those are startling numbers to this humble, unsophisticated mind. Yet to many in the autism research and Neurodiversity communities these numbers do not reflect a real increase. These smarter than the average bear types are sure that these incredible numbers are simply due to diagnostic definition changes, increased awareness and the existence of readily available of free treatments and services for people with autism. The less certain, less Neurodiversity adherent among the autism epidemic deniers will admit that, at best only 50% of these increases can be explained by the diagnostic change, social awareness and access to services factors. Assuming that these very smart people are right what does it mean for our understanding of what causes autism disorders? Of what value are studies which purport to determine the possible role of any factor or event in causing autism based on autism rates over time if those studies lack the ability to determine whether increasing autism rates are real and if so to what extent? Are all epidemiological autism studies flawed that rely on measuring changes in autism diagnoses over time? Will we have to content ourselves with discovering yet more gene, gene groups, gene expressions etc etc etc that MIGHT have SOME RELATION to autism? Is this where autism research stands today? Congratulations "Dr." Catherine Lord! APA's DSM5 Autism Targeted Exclusion of Intellectually Disabled Passed December 1, 2012. The American Psychiatric Association's passage of the DSM5 and its New Autism Spectrum Disorder was passed Saturday December 1, 2012 without any of the mainstream media taking noting of the real targets, the real victims of the new Autism definition: the intellectually disabled. The media continues the narrative of Amy Harmon and the powerful New York Times that raised concerns about the exclusion of Asperger's at the High Functioning end of the spectrum but ignored, as media and health care professionals so often do, the targeted exclusion of those with severe intellectual disabilities from the autism spectrum even where those ID's are accompanied by EVERY SINGLE CRITERION listed in the new ASD. "the autism umbrella has since widened to include milder forms, says Dr. Marshalyn Yeargin-Allsopp, a medical epidemiologist at the CDC. For example, it now includes Asperger syndrome, where the sufferer is socially impaired, but experiences typical language development. The 40% figure is for the entire autism spectrum, inclusive of those with Asperger Syndrome who are by definition not intellectually disabled. It is in the original classic autistic disorder where the ID'd constituted the vast majority, estimated by the Canadian Psychological Association in its 2006 brief to a Canadian Senate committee as approximately 80% of those with autistic disorder. The language of the new DSM5 autism clearly targets the exclusion of the intellectually disabled. Catherine Lord acknowledge that the exclusion is intentional. La Malfa, in one study concluded that the relationship should be explored, not ignored, as the DSM5 aims to do. This trend has probably been enhanced by the use of technology like MRI's that are difficult, very difficult, to use with those who are severely intellectually disabled. As a parent I have to confront that reality right now in terms of examinations of my son arising from his recent Grand Mal seizure. Unlike parents, researchers aiming to get grant money and complete autism studies can ignore the realities presented by those with autism and severe and profound intellectual disabilities. The great accomplishment of the DSM5 Autism Spectrum Disorder redefinition of autism will be to legitimize the exclusion of those with severe intellectual disability from autism research. Congratulations APA! Congratulations "Dr" Catherine Lord! Medicare for Autism Now! has released episode 10 of our "Medicare's Orphans" web-series. This episode features Medicare for Autism Now, Civil Rights Now and co-producer of "Medicare's Orphans", David Marley. David is a former trial lawyer and long-time political activist. In this 25 minute interview, he discusses why it is crucial for Canadians, particularly parents and families of autistic children to become politically engaged. "Fredericton MP Andy Scott said Saturday he has been lobbying prime- minister-to-be Paul Martin for a federal program to help young children with autism. "I desperately want a national autism strategy - and let me just assure you that Paul Martin knows it," Mr. Scott told supporters at a party celebrating his 10th anniversary as an MP in Fredericton Saturday evening. As reported on Facing Autism several times Andy Scott, with NDP MP Peter Stoffer, and other MP's, was ultimately successful in getting a National Autism Strategy motion passed in the House of Commons. That effort was important in obtaining recognition of the need for a national autism strategy but it did not provide what parents of autistic children were fighting for from BC to Nova Scotia: a federal commitment to provide Medicare funding for ABA which to date remains the only evidence based effective intervention for autism. The federal government has done nothing, absolutely nothing, to address the real needs of autistic children, school kids with autism or adults with autism needing assistance in the workplace or needing residential care. The federal government has done nothing to help those adults with severe autism who need 24/7 residential care and treatment. The federal government has stayed outside the battle content to hide behind constitutional jurisdiction line while ignoring the challenges faced by autistic Canadians and their families. The fight for a real National Autism Strategy, one that includes medicare coverage for autism treatment has been long and difficult. I have met David Marley on several occasions, and very much appreciate having David with his his commitment and determination in our corner. The fight for a real National Autism Strategy, a strategy built on inclusion of evidence based ABA treatment for children with autism disorders in our national Medicare has not been easy. It is not easy now and will not be easy in the future. We need everyone to pull together and fight. The current government, despite having within its ranks Alberta MP Mike Lake, father of an autistic son, is ideologically opposed to taking positive steps to ensuring that all children with autism, not just those living in Alberta, receive treatment under Medicare. The Toronto Star reports that children in Ontario wait up to 4 years for therapy: The Autism Project: Children face up to four-year wait for therapy. The significance of a 4 year wait is that children in Ontario are not receiving treatment during the critically important early years of 2-5. In Ontario, early intervention for autism is largely non existent. The most effective treatment for autism is not generally available in Ontario. Canada's 1 in 88 autistic children are, for the most part, doomed to move through the critical early years without the medical intervention they need. The fight for medicare coverage for autism must continue and we need strong leadership, strong advocates. David Marley has been answering the bell in this fight for many years. Join David Marley and the Medicare for Autism Now! team, join the political fight to help Canadians with autism disorder receive the effective, evidence based autism treatment. Bob Wright co-founder of Autism Speaks testified before ta US National Congress committee and made a number of important points including what is obvious to those who are actually paying attention to autism realities: autism has become an epidemic. The usual suspects, those autism researchers who study whatever suits them, whatever narrow issue they find interesting or can build a career around, remain in denial. The deniers have no solid evidence to support their position. It is really quite simple. They are wrong. Autism is an epidemic. Wright is right. Parents and other family members with 24/7 responsibility for caring for the autistic children we love can not ignore autism realities. Many of us can see the autism epidemic and we can not redefine our children's challenges out of existence by amending the DSM every few years. (Yesterday the APA voted to accept the new DSM5 including the New Autism Spectrum Disorder that will expel many with autism and intellectual disability and complete the reshaping of Asperger's as Autism.) We can not pretend autism is not a disorder or that gee whiz autism always existed. We are not comforted by the idle speculation that all of history's scientific, literary and artistic geniuses are all examples of "the autism advantage". We must deal with reality, autism reality, in all its manifestations. Many parents, grandparents and other family members caring for autistic loved ones can not and do not ignore the reality that autism numbers are increasing. When Bob Wright addressed a US Congressional committee and spoke about the autism epidemic he spoke a truth that is obvious to many parents, grandparents and family members: there is an autism epidemic. Autism researchers and others who do not see the autism epidemic have simply chosen not to see it. Those who deny the existence of the autism epidemic look only at one of the elephant's toes. They do not step back and see the whole elephant. Those who deny the autism epidemic, who blame their own periodic diagnostic definition changes, diagnostic substitution, increased awareness and those imaginary autism services that make autism a must have diagnosis see only what they want to see. They want to see a genetic explanation for autism and they refuse to consider environmental factors. "It's gotta be genetic" and that means there is no real increase because genes don't change that quickly. The failed premise on which the deniers excuse their repeated failure to find a gene or genes that truly cause autism symptoms or disorders is that autism is purely genetic and that the air, water, food, we consume, the toxic chemicals used in toys, clothing, jewelry, furniture and injected into pregnant women can not really have any effect on the neurological development of our children. That reckless assumption is the kool-aid of those who deny the existence of the autism epidemic. Many parents refuse to drink that kool-aid. The IACC pie chart above shows that genetic autism risk research receives by far the greatest share of autism risk research funding. "Pure" genetic research receives 63% compared to 5% for environmental risk research funding. "Epigenetic" autism risk research receives an additional 7% of autism risk research funding for a total of 70% of genetic research compared to 5% for environmental. Gene-environment interaction research accounts for 25% of autism risk funding. I am a humble small town lawyer and father of a severely autistic, cognitively challenged 16+ year old son. I can not possibly be as smart as all those clever autism researchers who manipulate statistical data and call it autism research but those numbers tell me that genetic autism risk research outweighs environmental autism risk research 12 to 1. The autism research community has produced no substantial results in its genetic autism research despite owning the autism research funding bread basket in recent decades. No wonder many autism researchers dig in their heels and say there is no autism epidemic. An epidemic requires environmental factors and would push funding toward a more equal balance with more dollars for autism risk factor research funding and fewer dollars for their genetic studies. The negative impact that redistribution could have on their careers is obvious. Dr. Szatmari has it backwards. His quote indicates a desperate effort to continue the funding emphasis on genetic autism research. He clearly reverses the importance of the CATS study by indicating that it confirms a genetic role in autism causation which, to my knowledge, is not in dispute. In reality the CATS study, as indicated by its lead author, Dr. Hallmayer, indicates that study points out the importance of environmental factors within the context of a shared gene environment interaction model of autism causation. The significance of the autism research genetic obsession is substantial. As long as the cult like belief that autism is 100% genetic persists it is easy to deny the existence of the autism epidemic. When it is acknowledge that environmental factors are involved simple denial is no longer an option. We should be investing our research dollars into discovering environmental factors that we can change, not more poorly targeted genetic studies that offer no hope of early intervention. Pesticides, mercury, aluminum, several drugs, dietary factors, infectious agents and yes — vaccines — are all in the research agenda." We are long overdue in developing a A Research Strategy to Discover the Environmental Causes of Autism and Neurodevelopmental Disabilities as advocated by Philip J. Landrigan, Luca Lambertini and Linda S. Birnbaum in April 2012. Such a strategy will require a redressing of the imbalance in genetic and environmental autism risk funding as advocated by Dr. Irva Hertz-Picciotto. The denial of an autism epidemic arises directly from, and is supported by, the "it's gotta be genetic" belief that has dominated autism research and autism risk research funding. We are living in an autism epidemic and it is time to find and address the causes of that epidemic. The time is now! Autism and Conor's Grand Mal Seizure: What Lies Ahead? I know very little about seizures except that they are associated generally with epilepsy, that they are common in people with autism disorders and that they can be absolutely terrifying to a parent, even one whose personal conceits mislead him into thinking he is immune to fear. 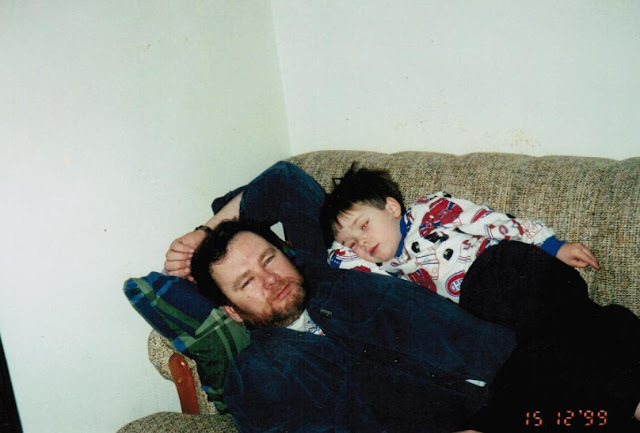 When I heard strange noises from my younger, severely autistic, and intellectually challenged son Conor and found him convulsing violently on our living room floor I thought for an instant that we might lose him. At this time I know very little about seizures. I know very little except how dangerous seizures can be. I can say that I had suspected seizure activity in Conor on previous occasions and reported them to his pediatrician over a year ago. The previous incidents involved his eyes rolling back in his head, his eye lids closing with an unusually forceful appearance, or his face grimacing and head tilting up and in another direction. But there was no falling or convulsing and no further examinations were conducted. The Grand Mal seizure he suffered two weeks ago was on a different scale and prompted a call to 911 and the terrific emergency response team and ambulance that took Conor and I to the emergency ward of our local hospital, the DECH. Thanks to the emergency response team the hospital staff were waiting and prepared with readings having been called in en route. An EEG is now scheduled and I will try to help Conor deal with the stresses of that procedure sufficiently to enable adequate readings to be taken. Beyond these few facts I know very little about seizures or epilepsy which apparently is the most likely explanation at this time although no diagnosis is confirmed prior to further testing. All I know at this time is that seizures can be very dangerous, even deadly, and my responsibilities to my son now require that I learn much more, as a parent always must, about the very serious challenges they present to my son. I have much reading to do. I do have some very good friends in New Brunswick's autism advocacy community who have children with autism who have suffered seizures and have given me some helpful information. I have for some time admired the courage of Kim Oakley who has posted YouTube videos of her son who suffers from autism and epilepsy and authors Autism, Epilepsy and Self-Injurious Behavior a blog featured on the side bar of this site. My admiration for her and her family and the challenges they have faced is increased by Conor's recent Grand Mal seizure. "The cause of Eric’s death was ultimately listed as Sudep, for sudden unexplained death in epilepsy. The syndrome accounts for up to 18 percent of all deaths in people with epilepsy, by most estimates; those with poorly controlled seizures have an almost 1 in 10 chance of dying over the course of a decade. Yet many patients and their families never hear about Sudep until someone dies. Mr. Wulchin said none of Eric’s four neurologists ever mentioned it to the family. “The message we got back was, ‘There’s no reason why he can’t live a long and normal life,’ ” he said. “It never occurred to me that this was a possibility. Newark Valley, NY, November 30, 2012 – Many of us know someone whose family is dealing with autism; once considered rare, now 1 in 88 children in this country are diagnosed with an Autism Spectrum Disorder (ASD). Silently Seizing: Common, Unrecognized and Frequently Missed Seizures and Their Potentially Damaging Impact on Individuals With Autism Spectrum Disorders (AAPC Publishing) by Caren Haines, RN, and valuable input by Nancy Minshew, MD, deals with the overwhelming challenge for those living with silent seizures. Many are confronted by anger and falsely accused of disorderly conduct, indecent exposure and drug abuse; while some are even unfairly arrested because the bizarre actions exhibited during a seizure have led to frequent misdiagnosis, medical mismanagement and, in the worst case, commitment to a mental institution. Because they are difficult to diagnose, or due to a lack of awareness and understanding, as many as 30% of all children and young adults with ASD may have undiagnosed seizure disorders. Silently Seizing is a breakthrough book that explores what most doctors won't tell you – that often the symptoms of autism are caused by seizures, undetectable with standard diagnostic tools. 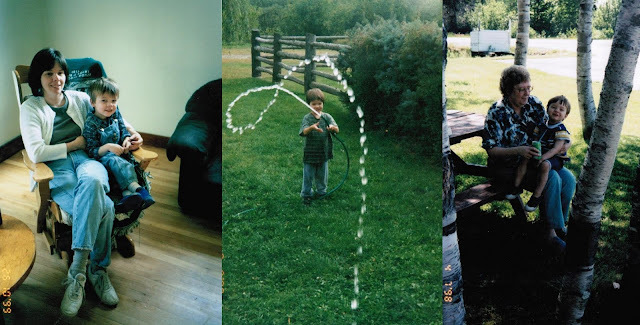 At age 2, the author’s son was diagnosed with autism. By the time he was 12, his diagnosis didn't account for his uncontrollable aggression, the acrid smells that lingered in his mind and the odd voices that screamed at him from inside his head. By the time he was 18, his out-of-control behavior mirrored a mood disorder with psychotic features. Silently Seizing begins with a close-up look at this family's journey and examines a disorder that cannot always be identified in a clinical setting. As a registered nurse, Caren Haines relied on her training to help her decipher her now 24-year-old autistic son’s perplexing behaviors. Based on knowledge gained from years of intensive research and information from top researchers in the field of autism, she is helping families become free from the debilitating symptoms of silent seizures and psychosis. Backed by up-to-the-minute research, Silently Seizing: Common, Unrecognized and Frequently Missed Seizures and Their Potentially Damaging Impact on Individuals With Autism Spectrum Disorders is a must-read book that includes sections describing autism, the seizure-autism connection, tips for diagnosing and treating seizures, as well as how to better understand children's behavior. It acts as a virtual guide to help parents navigate through this complex and mystifying disease. For more information, please visit: www.bit.ly/Rb2WBW." I received the above news release via email with out receiving a copy of the book which I have not read. I do intend to acquire a copy of the book. Not for comment on this blog at a later date, although that may happen, but as just one element in an effort to understand a dangerous reality in my son's life. It is quite possible that a paper claiming that empirical data confirm autism symptoms are related to Aluminum and Acetaminophen exposure, and possibly to the MMR vaccine, could put the research standing and careers of the authors in jeopardy. The paper in the journal Entropy is tantamount to treason in some health circles and could invite serious retribution from those who have elevated vaccines to a level beyond criticism. In this paper, we have presented some analyses of the VAERS database which strongly suggest that the aluminum in vaccines is toxic to vulnerable children. While we have not shown that aluminum is directly causative in autism, the compelling evidence available from the literature on the toxicity of aluminum, combined with the evidence we present for severe adverse reactions occurring much more frequently following administration of aluminum-containing vaccines as compared to non-aluminumcontaining vaccines, suggests that neuronal damage due to aluminum penetration into the nervous system may be a significant factor in autism. The fact that mentions of autism rose steadily concomitant with significant increases in the aluminum burden in vaccines, is highly suggestive. However, it is possible that other factors, such as more aggressive reporting or simultaneous increases in other environmental toxins, e.g., herbicides or pesticides, or aluminum in other products such as antiperspirants and antacids, may have contributed to these observed increases. We also observed a strong correlation between the MMR vaccine and autism, which we suggest could be explained by the effects of acetaminophen. We have proposed elsewhere that an impairment in cholesterol sulfate synthesis in the skin and in the vasculature may be causative in autism, and we argue here that vaccines can act synergistically with this impairment in the vulnerable child. We propose that simple corrective measures such as increased sunlight exposure and decreased use of sunscreen may help protect a child from a severe reaction to aluminum-containing vaccines, but we also feel that the vaccine industry should find a way to reduce or even eliminate the aluminum content in vaccines. As might be expected Dr. David H. Gorski, writing under the handle Orac has already spewed some venom on one of the authors of the study in his blog commentary of November 20, 2012, Stephanie Seneff: Following the Geiers dumpster-diving in the VAERS database. I am not sure why Gorski engages in the childish, self inflating style that he does. There is no question he has a loyal following but I doubt very much that he is persuading parents or others with vaccine concerns to abandon those concerns and vaccinate themselves and their children. I suspect his venomous hostility is actually counter productive. I have received the usual recommended vaccines and so have both of my sons. I have never suspected vaccines as contributing factors to my younger son's severe autistic disorder and profound developmental delays although I have not closed my mind on the possibility either should further research demonstrate such a connection. I believe that more research is needed to persuade those with concerns and, if connections are shown, to recommend study and changes to eliminate those possible connections. What I don't recommend is the strategy of attacking vaccine safety skeptics and expecting the attacks to change their minds. That approach simply has not worked. A much better scientist than David Gorski, a gentleman named Albert Einstein, characterized "doing the same thing over and over again and expecting different results" as a form of insanity. I don't expect Orac to change his approach. Nor do I expect the results of his attacks to yield different results. What would be helpful is to have the Seneff study findings properly rebutted or, if confirmed, the problems they point to addressed. Thousands of American school children who suffer with autism or have other behavioral issues have reportedly been injured and dozens have died after poorly trained teachers and school aides tried to subdue them, a major ABC News investigation has found. It is a troubling trend in the use of unduly harsh methods to restrain students who misbehave. The report from ABC News Chief Investigative Correspondent Brian Ross airs Thursday, November 29 on “World News with Diane Sawyer” and “Nightline.” In addition, it will be featured on ABCNews.com, Yahoo!, ABC News Radio and ABC’s local affiliates. Ross interviewed a number of people at the center of this shocking investigation, including victims’ mothers, children with compelling and chilling firsthand accounts, Congressman George Miller who is calling for national legislation restricting how and when restraints can be used on school children, and the Head of the School Superintendents Association, who opposes the legislation and says schools need the ability to use a variety of techniques to restrain children who poses a risk of harm to themselves or others. “World News with Diane Sawyer” airs at 6:30 p.m., ET on the ABC Television Network. Michael Corn is the executive producer of the broadcast. Follow Diane Sawyer and the “World News” team online: @DianeSawyer; @ABCWorldNews; facebook.com/DianeSawyer; facebook.com/WorldNews. ABC News’ “Nightline” is anchored by Cynthia McFadden, Terry Moran and Bill Weir. Juju Chang is a correspondent. Jeanmarie Condon is the Executive Producer. The program, number one in late night, airs weeknights from 11:35 p.m., ET to 12:00 a.m. on the ABC Television Network. "Exposure to traffic-related air pollution, nitrogen dioxide, PM2.5, and PM10 during pregnancy and during the first year of life was associated with autism. Further epidemiological and toxicological examinations of likely biological pathways will help determine whether these associations are causal." The possible association between autism and traffic related air pollution is of specific interest to me. 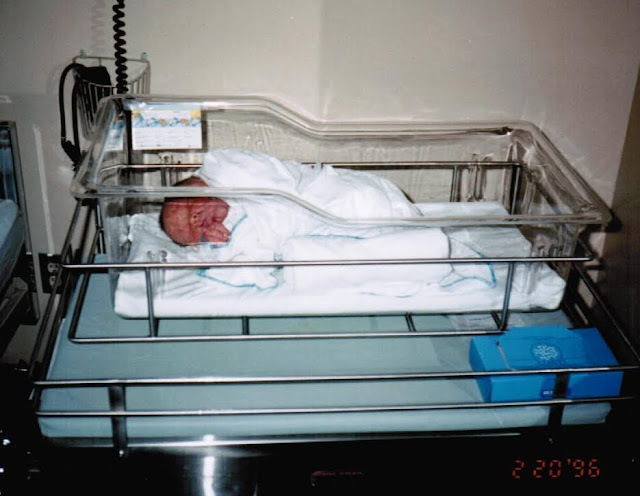 We were living in Burlington, Ontario when my wife Heather was pregnant with our now 16+ son Conor who has severe Autistic Disorder. We moved back to Fredericton, New Brunswick 4 months after Conor's first birthday. Burlington is located between Hamilton and Toronto, Ontario off the Queen Elizabeth Highway, the QEW, which runs between those two cities. 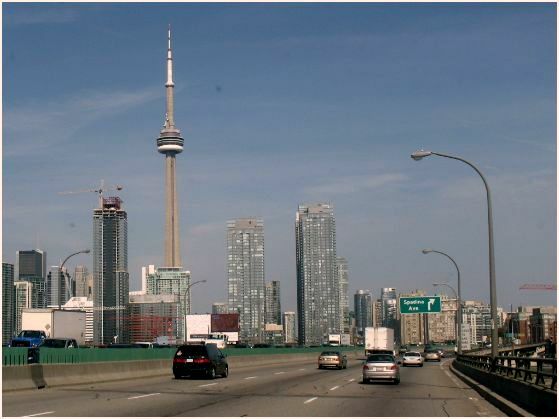 It is one of the busiest automobile traffic areas in Canada. "Mice breathing the air downwind from Hamilton's two big steel mills were found to have significantly higher mutation rates in their sperm, a new Health Canada-led study says. While there's no evidence that residents of the area are experiencing the same genetic changes, the project's lead author says the findings do raise that question. "We need to do that experiment and find out," said Carole Yauk, a research scientist with Health Canada. A future study will look at "DNA damage in the sperm of people living in those areas." Dr. Rod McInnes, director of genetics at Canadian Institutes of Health Research, said the mice could be "the canary in the coal mine" signalling the genetic risks to humans of breathing toxic air. ... While genetic changes in sperm would not affect a male directly, they'd get passed on to the offspring that receive his DNA. The story reports on a study indicating that the mice living under the Burlington skyway downwind from 2 Hamilton steel mills and breathing the air from those mills for a period as short as 10 weeks were found to have significant sperm mutations." other types of diseases). However, these experiments are extremely expensive, and we have not been successful in obtaining funding as of yet (it is very competitive these days to get grants). Hopefully we'll have some success soon - I am optimistic as we have an outstanding panel of investigators on the project from McMaster University, McGill, and Health Canada. Thank you for your interest. Please feel free to email me again in the future. Associate Editor, Environmental and Molecular Mutagenesis. The gene environment model of autism causation has gained ground in recent years. Autism Speaks deserves some credit for this advance with its more balanced funding of genetic and environmental studies. Scientists like Dr. Carole Yauk, Dr. Irva Hertz-Picciotto, Dr. Heather Volk, Dr. Philip J. Landrigan and Dr. Linda Birnbaum are the people advancing our knowledge of possible causes of autism disorders. This father of an autistic son salutes them and wishes them well in their never ending efforts to enhance our understanding of the environmental factors contributing to the very real autism crisis confronting our children.